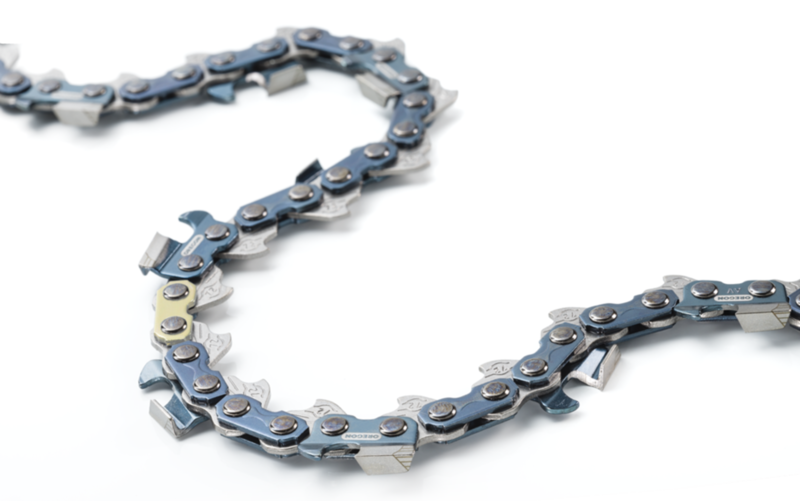 New Oregon PowerCut™ 70-Series EXL 3/8" chain is an upgrade on Oregon LPX or LGX, engineered to fully utilize the power of today's high-output 50-100cc professional saws. Increased cutting performance, less effort. + NEW Reshaped Full-Chisel cutters. + NEW Optimised ramped depth gauge design. Bumperless, low kickback, low vibration. (side/top/end-of-life) and easier to file geometry. + NEW Dry-touch oiled from factory. Less mess. Oregon professional file part number 70502. 25º top plate. Professional user tuning/filing; Depth gauge to top plate is optimised from factory at 0.025", no need to file down ut-of-box. Apply a down angle approximately 10º when filing. Large radius nose. Versatile, durable, light. 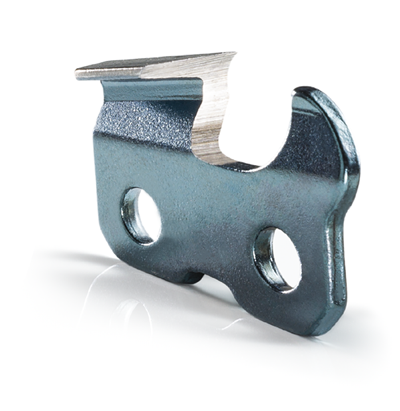 Replaceable sprocket nose bar. Tough, heavy duty use.